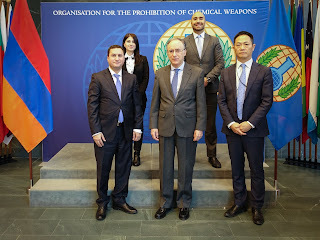 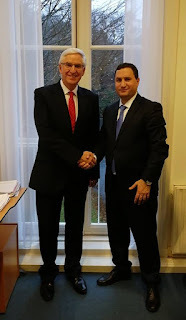 On December 4th Tigran Balayan, Ambassador of Armenia had a meeting with David van Weel, Diplomatic and Defense advisor to the Prime Minister of the Netherlands. 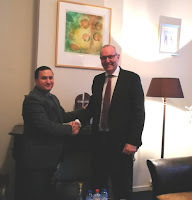 Ambassador Tigran Balayan met with Egbert van Beesten, Manager of #Dutch Mensen kinderen charitable organization. 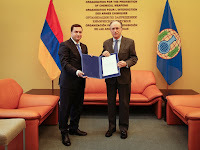 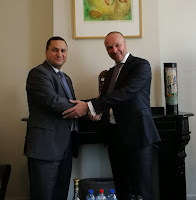 The Ambassador thanked Mr. Van Beesten for 16 years long effective activities in #Armenia, aimed at supporting those in need and creation of jobs. 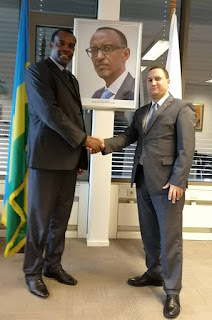 On this symbolic day, when #Armenia hosts 3rd Global forum "Against the Crime of Genocide" and the world celebrates 70th anniversary of the Convention on the Prevention and Punishment of the Crime of Genocide, Ambassador Tigran Balayan meets Jean Pierre Karabaranga, Ambassador of#Rwanda. 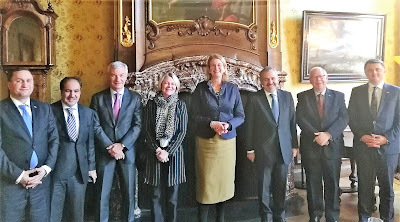 The Ambasadors discussed prevention agenda the two countries promoting on the world stage, #Francophonie and many other issues. 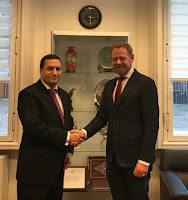 Ambassador Tigran Balayan had an interesting and in-depth discussion with Hans Faber, Director of International Affairs & General Director of Repatriation service of the Ministry of Justice and Security of the #Netherlands. 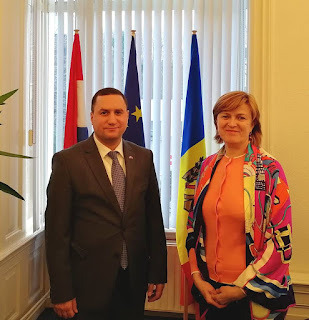 The two discussed prospects of assisting in full rentegration and employment of Armenian citizens, returning from the Netherlands. 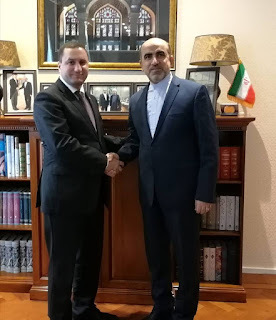 11 Դեկտեմբերի Ambassador Tigran Balayan paid a courtesy call on Alireza Jahangiri, Ambassador of Iran.